Exporting files means that you would like to save a copy of your library so you can share it with other people, or to save it as a backup for future use. This doesn't mean that you are deleting the lists from your Little Reader program entirely; rather you are just making a copy of your lists, to be saved in your computer. 1. Go to the Import/Export Content tab. 2. 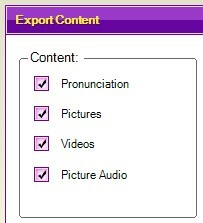 In the Export Content panel, choose to export Categories. 3. Select the Categories that you would like to export. If you want to select two or more categories at once, press and hold the Ctrl key on your keyboard while selecting multiple categories, then release the key when you are done. 4. In the Content panel (located on the left of the Categories/Playlists list), select which media files you would like to export by putting a tick mark in the box corresponding to the media file type. 5. Click on the Export Content button (located in the lower right part of the Import/Export Content tab). 6. A confirmation window will pop up, showing you the list of Categories that you've selected. If the list is correct, click YES to proceed or click NO if you want to make changes. 7. Type in a Screen Name for your file and then click OK.
8. Choose where you would like the file to be saved in your computer. Save this file and in a very safe place (definitely outside the BrillKids Folder) so in case you reinstall your Little Reader, the file won't be deleted. 9. Once you have chosen where to save the file, type in a filename for your file and then click OK to start exporting the file. A confirmation window will pop up after Little Reader finishes exporting the files. Click OK to close the window. 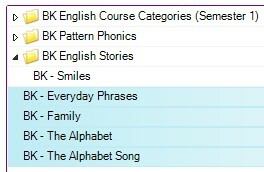 After you export some Categories, you may begin sharing these with other Little Reader users by emailing them, uploading to them to the BrillKids Forum, or burning them to data CDs! Type in your BrillKids Forum Username in the BrillKids Screen Name box (located at the bottom of the Import/Export Content tab) – this will tag your Categories with your forum user name so that when you export files to share with others, people will know who created the Category as displayed on their Little Reader Category list. 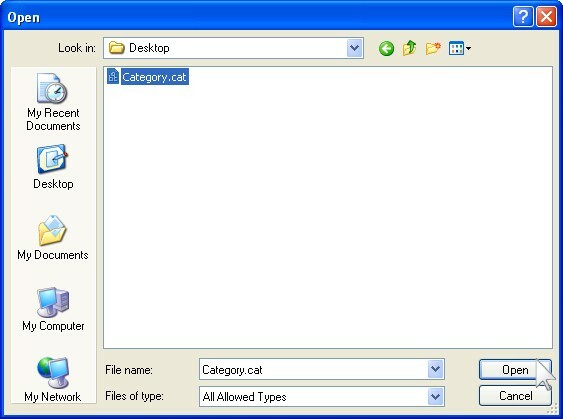 Importing files means that you have already downloaded Categories or Courses, and these are saved in your computer's hard drive. The next thing you need to do is import these files into your Little Reader program, so they can be ready for use! 2. Click on the Import Content button. 3. Locate the file in which you want to import to your Little Reader and click on the Open button. 4. A new window will pop up. Click YES to start importing the file. A confirmation window will pop up after Little Reader finishes importing the files. Click OK to close the window.